Will Your Family Be Safe and Sound in Your New Detroit, MI Home? Can you afford to move your family into a structurally flawed home? Don't take that chance - call PPT Inspections for your general home inspection, a home consultation, a termite inspection, and just home inspection services in general. PPT Inspections, a locally owned and operated company, has been inspecting homes in Detroit, MI and the surrounding areas since 1994. We started out as a residential design business, but over the years, home inspections and consulting work have become the main part of our business. 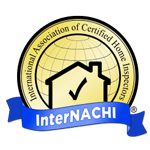 Our customers are typically referred to us, so you know you're working with a home inspector the community trusts when you choose PPT Inspections. Depend on us to inspect a home that your family can rely on for years to come. Are your elderly parents coming to live with you? Are they having trouble moving around in their own home? We can modify existing homes to make them more accommodating for the elderly, disabled or injured. Call us today to create a home that your elderly parents can feel comfortable moving around in. Click here to see our New Blog! PPT Inspections conducts timely, efficient, and detailed inspections and reports. They stand behind their work. I have utilized their services in the past and have continued to utilize their services and I have not been disappointed. Reliable and on-time, keeps promises. Inspection report was delivered within 48 hours with useful information. A great choice for your home inspection. Mr Walter is very peasant and knowledgeable. Always prompt with all responses and willing to help you understand his concerns. Will recommend!! Friendly. Great response time. Flexible. Professional. QUALITY! Mr. Williams went over and above to provide me with excellent service. He came out of town on a weekend to make sure I met the deadline for the funding agency, NACA. He was through, professional and provided me with a complete visual and follow-up written report . I would definitely recommend him to others!